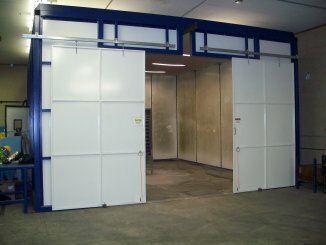 Our 20 x 24 blast booth is large enough to accommodate parts of all shapes and sizes. And our booth provides a smooth, clean surface ready for coating. We also offer in house non-booth blasting to accomodate larger parts and equipment. By using an array of blasting media we can blast the parts with a light blast or if needed a very aggressive blast to ensure the parts are ready for coating.